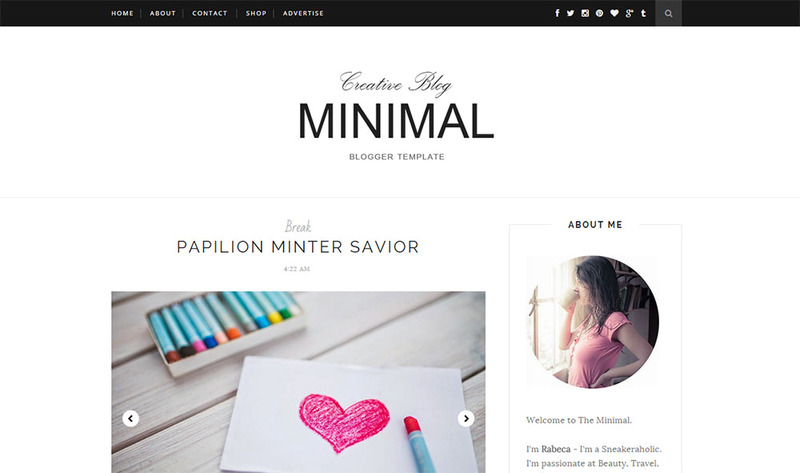 Minimal is a clean and minimalist Blogger blogging theme. It is a light & bright blog theme, tailored to showcase your content in an effortlessly timeless style. Perfect choice for yourpersonal blog, niche blog, Fashion blog, OOTD blog, authority blog or any type of creative blog or simple magazine. It has a responsive design meaning your content will be displayed beautifully on all mobile devices.